Cancer kills 8.2 million people every year, 4 million of whom die prematurely. Advancing the state of cancer research to prevent or mitigate this suffering is a worthy challenge for the global biosciences community. 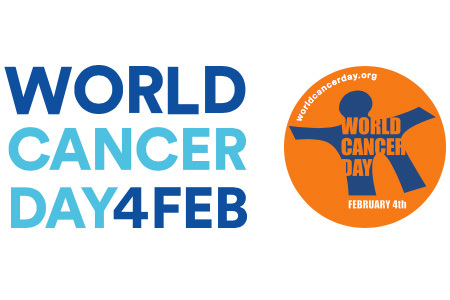 February 4 is World Cancer Day, dedicated to "awareness and education about the disease, pressing governments and individuals across the world to take action". Today, we want to recognize the contributions of those scientists who dedicate significant portions of their lives to advancing cancer research. Life science researchers are in a unique position to significantly impact the fight against cancer by developing more efficient and translatable cancer research tools. Never has that arsenal been so rich and diverse. Genetically engineered animal models, humanized mice, and PDX models all increase our ability to rapidly discover mechanisms of action and bring more effective personalized treatments into the clinic. These tools – and the advances in immune-oncology and CART research they support – form the foundations of renewed hope for hundreds of thousands of people around the world. Novel cancer drugs like Keytruda® (pembrolizumab) and Opdivo® (nivolumab) have eased the suffering caused by melanoma, non-small cell lung, kidney, head and neck cancers, and Hodgkin lymphoma. These drugs are born out of decades of research from dedicated scientists, enabled in turn by the research platforms created by the bioscience community. A Google Scholar search for "rodent cancer models" brings back 260,000 results, with over 20,000 results from 2016 alone. The sheer volume of publications is one way of measuring the level of effort scientists put forth to alleviate human suffering. With each publication, our knowledge increases. We move incrementally towards a cure, building on the success – and failures – of those who came before us. Kerr, D. (2000) World summit against cancer for the new millennium: The Charter of Paris. Annals of Oncology. 11: 253-254.